IT WAS ONE OF THOSE days when I set off without a plan. I left home equipped to record anything and everything that crossed my path. I took the Metro and followed my nose. 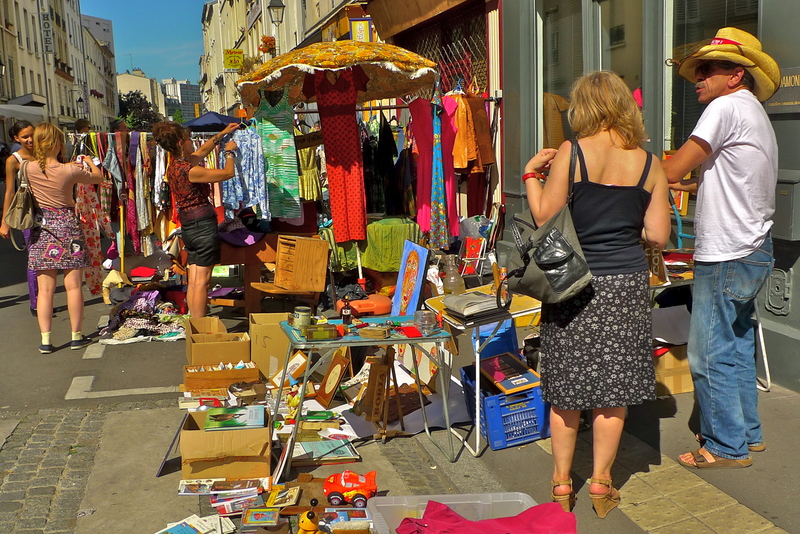 Eventually I found myself in the Butte-aux-Cailles in the 13th arrondissement where I found a street market in full flow. 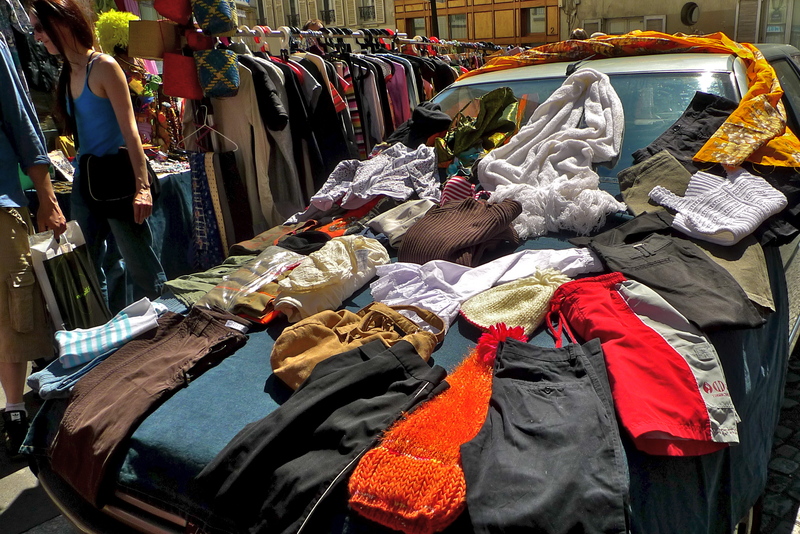 I love street markets, especially when I discover them by accident and this one didn’t disappoint. 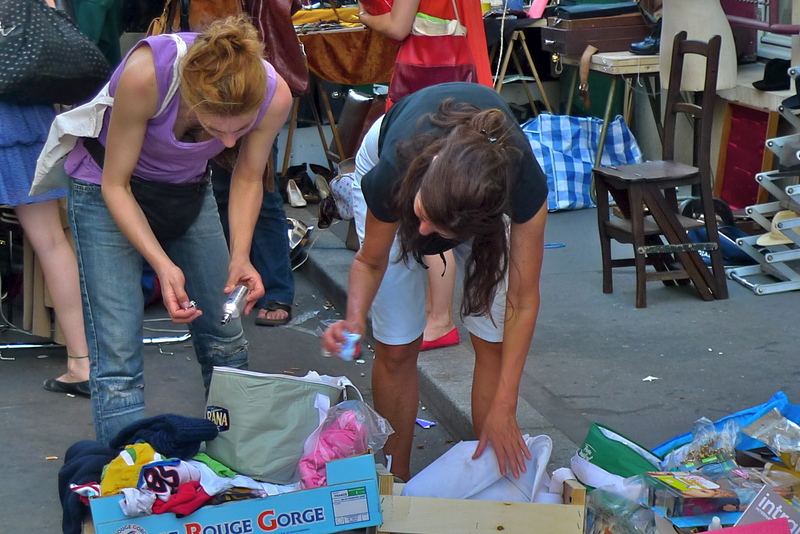 Occupying the space between the rue Butte-aux-Cailles and the rue des Cinq-Diamants, this market was very busy and hustling and bustling. Named after Pierre Cailles, who bought a vineyard here in 1543, the Butte-aux-Cailles has deep roots. The river Bièvre once cut through here in spectacular fashion until it was engineered underground and out of sight. On this sixty-metre hill, windmills were once to be found. By the time the Butte-aux-Cailles became part of the City of Paris in 1860, shoemakers, ragmen, laundrywomen and many others in search of work and a home lived here. Although now gentrified and a ‘trendy’ place to live, the Butte-aux-Cailles still clings to its working-class roots. The workers here fought in support of the Paris Commune in 1871 and today, the headquarters of the “Amis de la Commune de Paris 1871”, the oldest workers organisation in France, still exists in the rue des Cinq-Diaments. In a way, this market reflected those roots. There was nothing expensive on sale, just ordinary things looking for a new home. 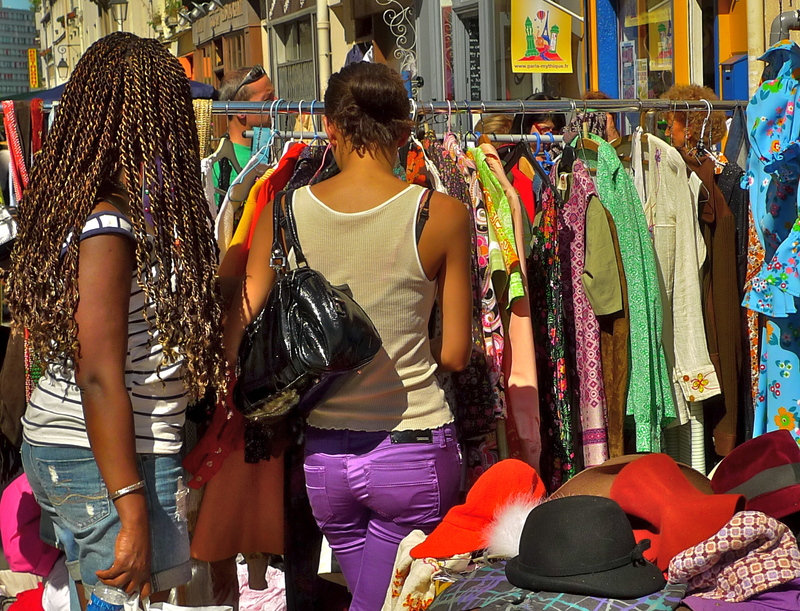 The clothes stalls and the bookstalls seemed to be especially popular but almost everything else was attracting interest. 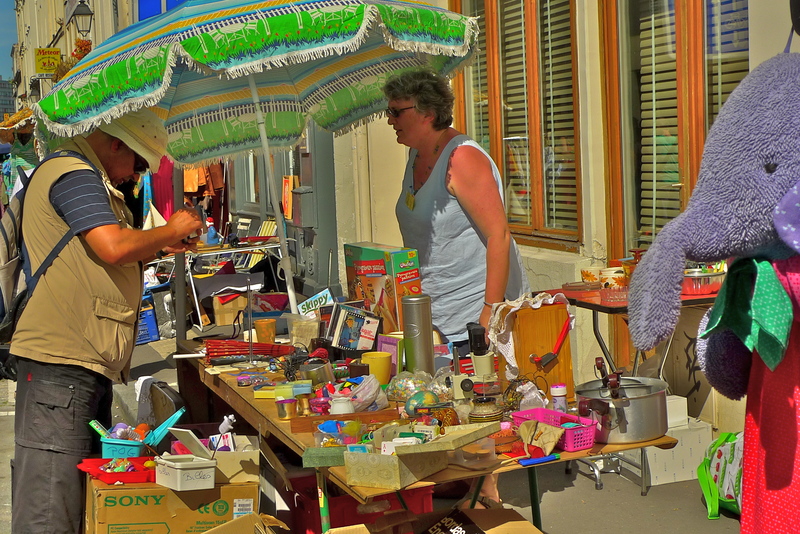 For those with things to sell but without a stall, improvisation was the key. And, late in the evening as the light was beginning to fade, the hunt for last minute bargains was still going on. Paris has many places like the Butte-aux-Cailles, places that have adapted to the modern world but are still in touch with their roots. It’s one of the things that makes this city so endlessly fascinating.